The family and friends of Joe Kavanagh have set up this Foundation following his sudden death on 7th July 2007. Joe’s sudden death was a huge shock to everyone that knew him. He had an extremely healthy lifestyle, being involved in sport (particularly basketball) and training all his life. He was exceptionally fit. Joe collapsed at the start of a training session in the gym from Ventricular Arrhythmia (fatal irregular heartbeat). Although CPR was administered promptly Joe never regained consciousness and three days later, having donated his organs, the life support was turned off. Joe was 47 years of age. If there was a defibrillator in the gym Joe would have had a much greater chance of survival. 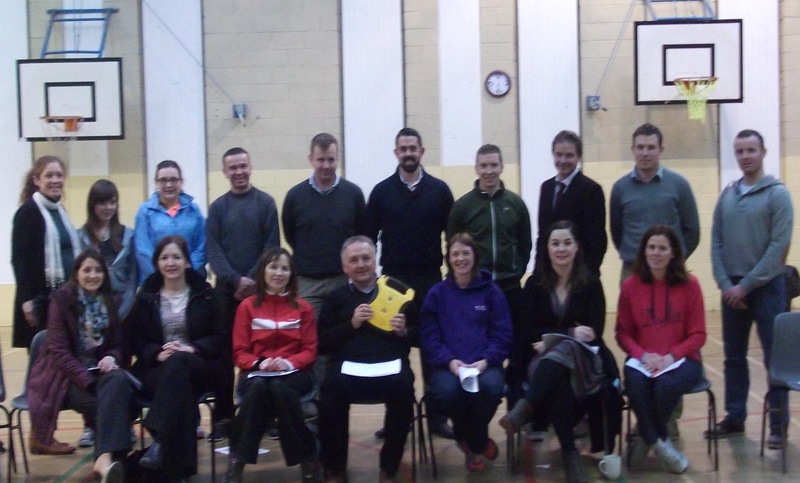 The Joe Kavanagh Foundation was delighted to support Castlcomer Community School in acquiring a defibrillator and organising training recently. 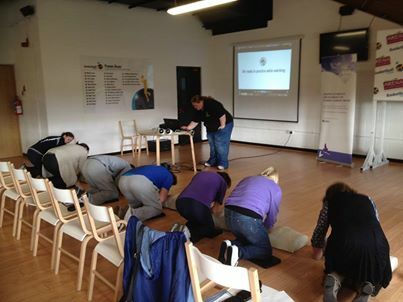 Well done to all involved and here's some photos from Castlecomer where 16 people completed training! Basketball Ireland recently purchased a defibrillator through the Joe Kavanagh Foundation and training was held in the Basketball Arena, Tallaght, yesterday. Congratulations to everyone who successfully completed the "Cardiac First Responder" course. Thanks to everyone who supported the Joe Kavanagh Foundation at the Dublin Masters Basketball Tournament last weekend. The Foundation is very grateful for donations received. This was the first year of the tournament and we were very honoured to hear the Ladies trophy was to be named "The Joe Kavanagh Cup" as a tribute to Joe. The men's trophy was named "The Tom McLoughlin Cup" as a tribute to Tom, a very dear friend of Joe's. Captain Claire Boylan, Glasnevin receives the Joe Kavanagh Memorial Trophy from Kate. The Joe Kavanagh Foundation was delighted to support Colaiste Bride with acquiring a defibrillator and training recently. 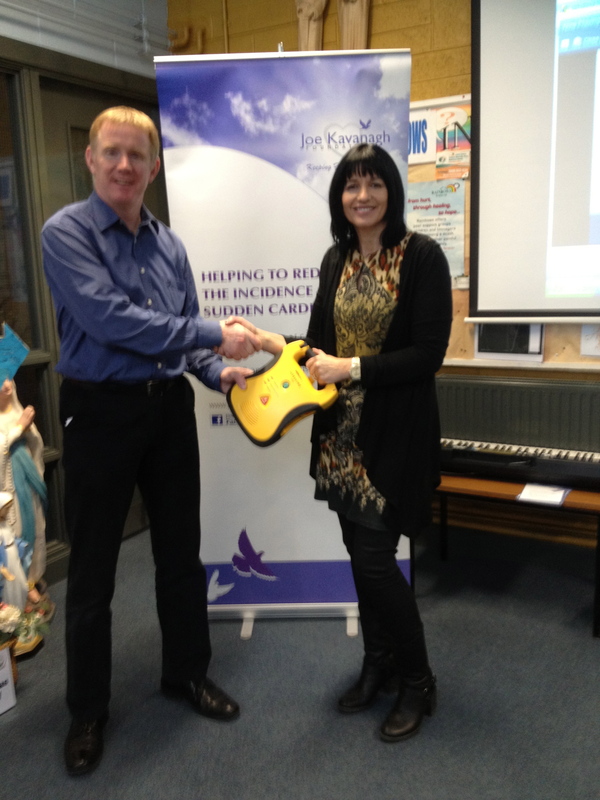 Kate presented the defibrillator to Steve McEntaggart, Vice Principal. 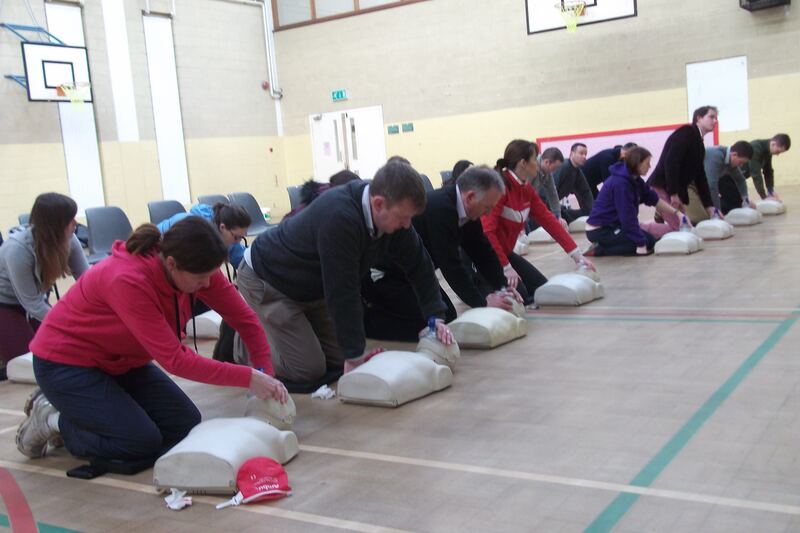 To help organise and support the running of CPR and AED (Automated External Defibrillator) training courses with instructors affiliated to the Irish Heart Foundation. Organise a fundraising event in your club or community to support the Joe Kavanagh Foundation and we can help with installing a defibrillator and running CPR/AED courses. Approximately 10,000 people die in Ireland each year from cardiovascular disease (CVD) which is 36% of all deaths. The largest number of these deaths, 6,000, are Sudden Cardiac Deaths. This equates to approximately 15 deaths per day across all age groups. Sudden Cardiac Arrest is the single most prevalent cause of premature death in adults. Many lives can be saved if CPR is performed immediately and a defibrillator is accessible. Having a defibrillator on site within two minutes there can be an 80% chance of survival. Approximately 95% of sudden cardiac arrest victims die before reaching hospital. Death from sudden cardiac arrest is not inevitable. If more people knew CPR more lives could be saved. Few attempts at resuscitation are successful if CPR and defibrillation are not provided within minutes of collapse.